Info. and stats. on housing, benefits, hardship, prices, children in care, and much more is contained in our latest Vulnerability Report. It also contains info on how social service providers are filling ever increasing demands on their services. But they have limits. They face their own constraints and the pressure is on them to provide more from fewer resources. NZCCSS president Rod Watts is one of many social service managers saying "A strong and capable community social services sector is needed to assist communities and governments achieve and maintain wellbeing. Government and community organisations need to be supporting each other more effectively than we are at present. The best way to achieve this is through working together – not being told ‘it’s going to be like this’, but actually working out the way forward together." Rod’s point was reiterated at the NZCCSS Future Wellbeing Conference held in Auckland last week. However, Government made it quite clear at the conference it would only fund those who could show effective outcomes. Government is not so concerned about who provides the service or how the outcomes are brought about. Some of the info from the conference and the Auckland Futures day which followed is below. More info will be in next Policy Watch when we have presentations from both these occasions, and the Services for Older People conference on our website. What did the politicians say? “We will get our books under control when we have got our community in good shape” - Bill English. These words are from our own notes; so we apologise to Minster English if they misrepresent what he said in any way. The churches have a role as there is a ‘collective well of morality’ – ideas about what is right and wrong, and the churches are still seen as holding some of that moral toolkit. Minister English went on to say ‘human misery and directionless youth cost us a lot of money.’ … “Contracts will be stopped and organisations will disappear.” ‘This will mean there will not be hundreds of organisations’. … We do need to take seriously John Key’s 10 things he wants to achieve.' Bill English is not really interested in statistics about who is having a bad time or programmes that ‘raise awareness’. Public submissions are invited on the Inquiry into Preventing Child Abuse and Improving Children's Health Outcomes. The closing date is Friday, 4 May. This inquiry looks at practical health and social measures between preconception and three years of age that will help prevent child abuse and promote child well-being in New Zealand. Make it harder for loan sharks to exploit people. This bill proposes making it illegal to lend someone money when repaying is likely to result in substantial hardship. It also requires complete disclosure of loan terms and extending the period during which borrowers can cancel their loan. Send submissions on the Credit Contracts and Consumer Finance Amendment Bill Exposure Draft to the Ministry of Consumer Affairs by Friday 11 May 2012. Submissions can be emailed to cccfa@mca.govt.nz or sent to Consumer Policy, Ministry of Consumer Affairs, PO BOX 1473, Wellington. Zoe is 23 and featured in last Monday's Dompost having been crippled by anxiety. She has our sympathy. But she also leaves us wondering. Why are way too many people in a similar state? Tony Ryall, Minister of Health has announced more and better mental health services for our young people. Sure there is plenty of evidence that young people often get left behind when successive governments are handing out priorities. Not surprising really, after all, lots of young people don't vote. But why do so many young people need mental health services in the first place? Is this straight illness (where good care and treatment is needed), or to what degree are social and economic problems causing stress and anxiety which are in turn diagnosed as individual health issues to be dealt with at an individual level? Just maybe our skyrocketing depression and anxiety numbers (which after all account for many people on sickness and invalids benefits) has more than a little something to do with the way we are arranging life. So what about Zoe? She might be living in a lousy neighbourhood, or she might be trying to find a home and “the Social Housing Fund set up to help the community housing sector grow is not equal to the task demanded of it”. Maybe Zoe lives in Auckland where houses are expensive and hard to find, or in Christchurch where rents are way too high even though the Minster has extraordinary powers. Or maybe Zoe is trying to be a parent and earn an income, but childcare is expensive and just getting a living wage is now the subject of a campaign. Maybe she is trying to get some help from a government department, but the staff are so new they don’t know a lot, or it is Housing New Zealand and they have closed down their outreach offices. Maybe Zoe is unable to care for her gran and good aged care is not available. Or maybe Zoe is just plain poor and the local city mission has run out of food. Just maybe Zoe is living in a world where even the official agencies not known for their community mindedness are saying we have an inequality problem. The politicians do not seem to be noticing; are forgetting about loans to help Māori build on ancestral land, and are busy bailing out private schools instead. With all of this, maybe what is really surprising, is that more of us do not have crippling anxiety. Christchurch Methodist Mission knows having fun lifts our spirits and makes us more resilient. So they’ve got together with Play It Strange Trust and donated 420 ukuleles to quake-affected and low-decile schools as part of a ukulele orchestra programme. Executive director Mary Richardson says "the kids have said that what they most want is to have fun again, and we know from the research that if kids have fun, they're more resilient." 2. A point to ponder from Manu Caddie, Te Ora Hou: Does technology make us more or less productive? 3. Greater equality is worthwhile, because if we have it, we all do better. "High levels of inequality are equivalent to “just throwing money away”. In economist speak, it’s about maximising our utility (Eva Neitzert, Net Balance Foundation). Eva’s joins the OECD, IMF, World Bank, and now the Asian Development Bank in arguing high levels of inequality are a bad idea. Policies which can help reduce inequality include creating quality jobs; increasing spending on education and health; expanding social protection including conditional cash transfers for poor people, targeted subsidies; and more investment in infrastructure to reduce imbalances between developed and lagging regions. 4. Look at what we want to achieve rather than the problem ( Nic Francis, Cool nrg). Doing better for Auckland issues were summarised by a panel of three Auckland social service providers. Services need to have clear goals and targets. The housing issue must be tackled otherwise we will not get anywhere with anything else. Local neighbourhoods are important, which means the things at street level are important, e.g. local neighbourhood interaction, local street level arts. People grieve over losing old structures and losing old relationships. There are bonuses attached to stable communities. Social service providers are going to be doing things differently. 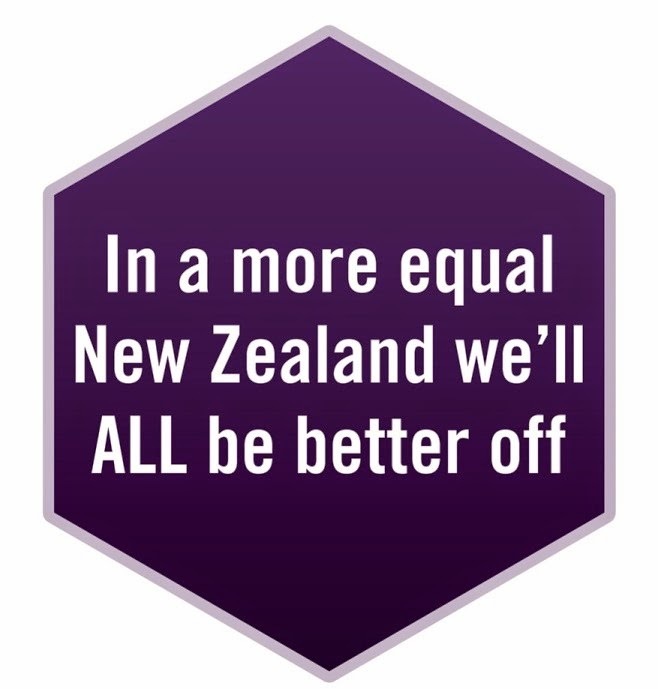 Doing better for Māori, we do better for all of us. The Ministry of Social Development has produced a new brochure that summarises the services and information that are offered through their department including NZ Superannuation, extra financial help (e.g. accommodation allowance) and assistance with health services and aged care. It is available on the excellent and informative MSD Services for Seniors website. Closing the Gap invites its supporters and friends to a first meeting of the Wellington branch:Location: Conference Room 1, 1st Floor, St Andrews on the Terrace, 30, The Terrace, Wellington.Date / Time: Tuesday, May 1st 2012 from 7pm to 9pm.